The teacher Mr. Pedro Sánchez is carrying out some refurbishing works at school. 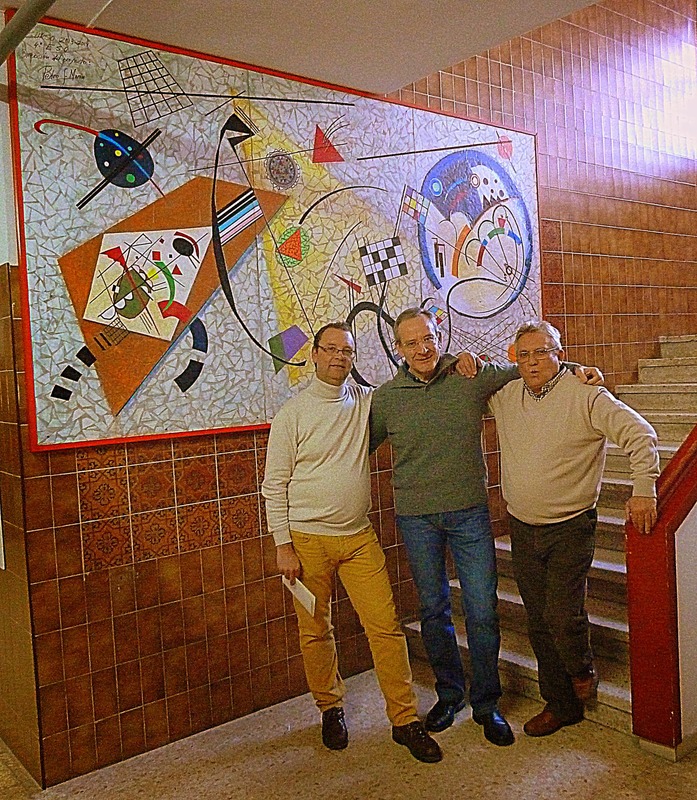 With the help of his pupils he hung a couple of marvellous murals based on some masterpieces of the world famous Russian painter V. Kandinsky before Christmas time. Now, he is trying a new challenge. The walls in the corridor before the Dpt. of English are also being refurbished. 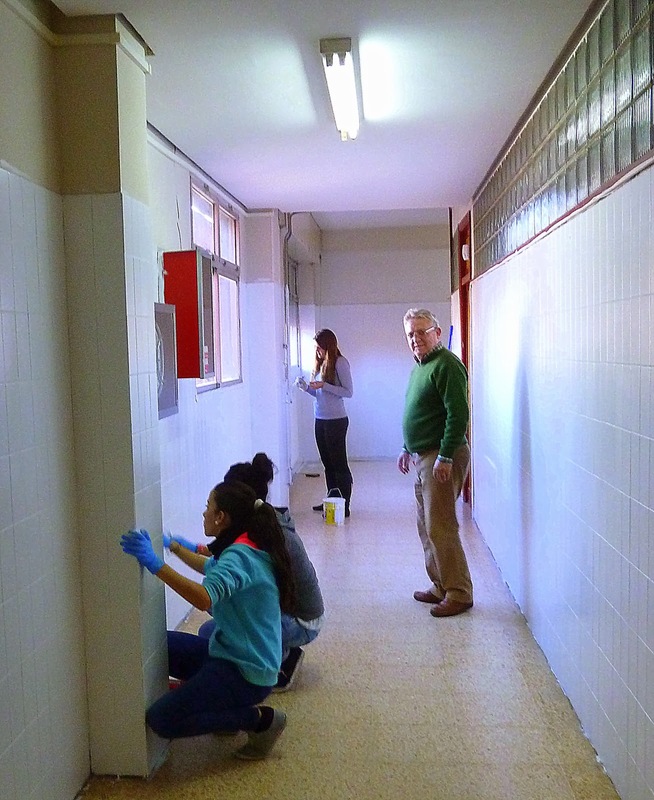 Some students, under the direction of Mr. Sánchez, will transform the former ugliness of the old brown tiles into bright colourful walls within few weeks. We’ll keep on informing.